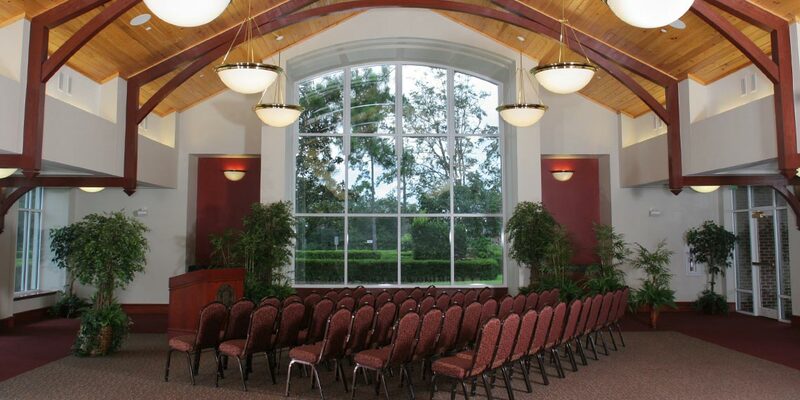 FSU Alumni Center: With several meeting spaces, the center is the perfect venue for any event. Surrounded by large windows and glass doors that provide for a breathtaking and unique view, the Grand Ballroom is approximately 4,320 square feet. Occupancy is 248 for plated meal service or 300+ standing or in theater-style seating arrangements. Named after Dr. Raymond Cottrell, this conference room can be configured into a board room or a classroom arrangement. This room can comfortably accommodate 25-30 people and has full audio/visual capabilities. Named for Mr. Bruce Rendina, this conference room is 1,575 square feet and can accommodate up to 80 people. The room includes a whiteboard, pull-down screen, food service counter with sink, refrigerator, ice maker and interior restrooms. Parking is available in the student parking lot, located to the left of the Alumni Center. Accessible parking is available in all parking lots surrounding the Alumni Center.